Few things spawn more neighborhood chatter than the potential arrival of a new grocery store. 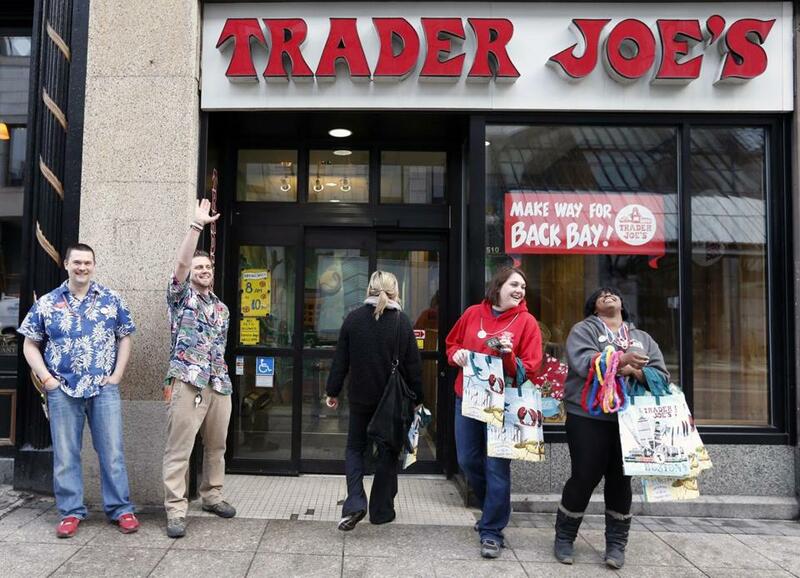 So Fort Point — an underserved section of the city, grocery-wise — was atwitter last month with speculation that a Trader Joe’s could open in the area soon. On Thursday, new evidence suggested that those plans might soon come to fruition. Trader Joe’s was listed as one of the parties petitioning the Fort Point Channel Landmark District Commission at a meeting Thursday night for permission to change some of the architectural details of the large brick building at 44 Thomson Place. The grocery store was hoping to update entrances, reopen historic windows, and install historic signage. According to Marc Margulies, principal-in-charge of Margulies Perruzzi Architects, the commission approved Trader Joe’s petition. Before the meeting, Trader Joe’s was not yet ready to promote its plans. “We are interested in opening a new store in that area, however, I have no other information to confirm at this time,” spokeswoman Kenya Friend-Daniel said in an e-mail. Jonathan Martin, a broker handling leasing for the space, said: “I can’t speak anymore until things are made public.” And representatives from Crosspoint Associates, the real estate firm that owns the building, did not respond to calls. Margulies Perruzzi Architects has been renovating the trio of buildings at the Fort Point site, which includes the new Trillium restaurant and brewery at 50 Thomson Place and the bartaco restaurant at 25 Thomson Place. The architecture firm lowered the floors of the buildings to better accommodate retail tenants and set up a plaza among them. “We sort of see this as a new Newbury Street in the Seaport,” he said. Lynn Smiledge, chair of the Boston Landmarks Commission, said the petition would mark the group’s first review of the proposal from the grocery store chain, which has 19 locations in Massachusetts. She said companies tend to meet with the commission later in the planning process.